Bessie and Jack | Nan Tubre Writes . . . Remember when Dr. Phil used to talk about the people in every person’s life who had the most influence on them? Remember those catch phrases he used like ‘pivotal people’ and ‘defining moments’ and ‘critical choices’ ? Yeah, I was a Dr. Phil groupie. Back in the day, I felt it logical and necessary to keep digging in my past, present, and future in an effort to make sense of the kind of person I became. Dr. Phil helped. Well, at least his show did; I never met him, but you’d never know it the way I carried on. “Dr. Phil says. . . .” Oh, brother, I wore that line out! To make a long story short, I uncovered more crap than I expected to find, some of which I wish I hadn’t! But you can’t un-ring a bell and I guess I don’t really want to. After all, I have become what I am because of all that crap. I have had quite the wild ride of a life, my friends. Good and bad go hand in hand. Ups and downs. Devastation. Joy. Changes, ever so many changes. Self discovery, growth. And lots of help along the way. You could say Bessie and Jack are a couple of very ‘pivotal’ people in my life. They are my God-parents. I was almost 18 years old when I converted to Catholicism. At the time I didn’t really know what I was getting into, I just wanted to marry this Catholic boy but his mama wanted him to marry a Catholic. 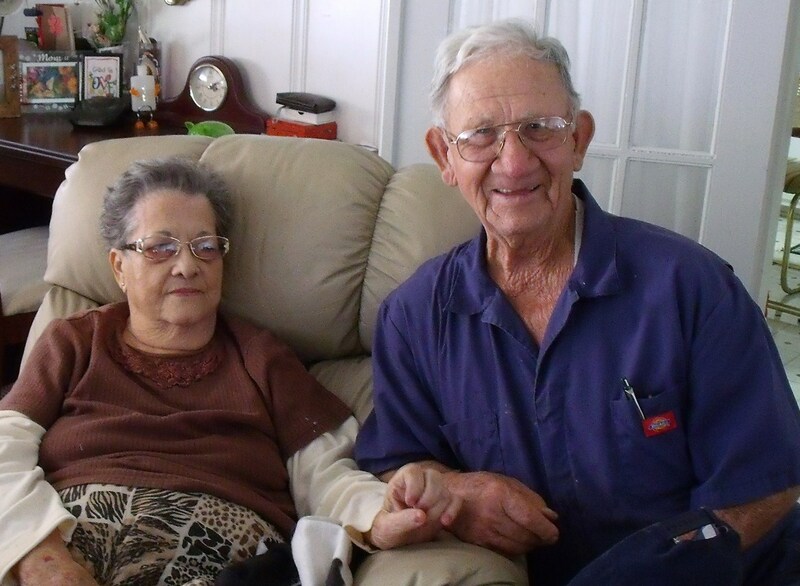 Bessie and Jack lived a few doors down the street from me back then and since it was their daughter who introduced me to my sweetheart, I thought it practical and meaningful to ask them if they would be my God-parents. Besides that, I didn’t know any other Catholics. They didn’t hesitate, and I must admit, I was surprised by how seriously Bessie took her responsibilities! You see, not too many people ever made a big deal over of me. My own mother even when out of town the weekend I was baptized. But Bessie and Jack, they were devout in their faith and that made a huge impression on me. I dare say, if it weren’t for them, I would have never made the faith journey I did. They made a big deal over me. Unfortunately, just about all I can remember when I was received by Baptism was that I was bending over a font for the priest to pour water over my head and was worried sick because I had on a very short dress, lol! I was so afraid Bessie would have my head for that! She’s like that, you know – no nonsense, kind of strict, an eye for detail and almost OCD about everything having a place and everything in its place. Oh, but she does have a great sense of humor as well. How could she be married to Jack and not have a great sense of humor?! Omg, that man! I could tell you some stories that would keep you laughing for days! I love that about him, but there is no time to retell all those stories now. We lost touch for a while. You know how it is; life moves people in different directions. She called me last year and told me she was dying because of kidney disease. It stunned me and it paralyzed me. To my shame, I couldn’t face her. She was so convincing, I was too horrified that she was dying. Well, thank God she made it. 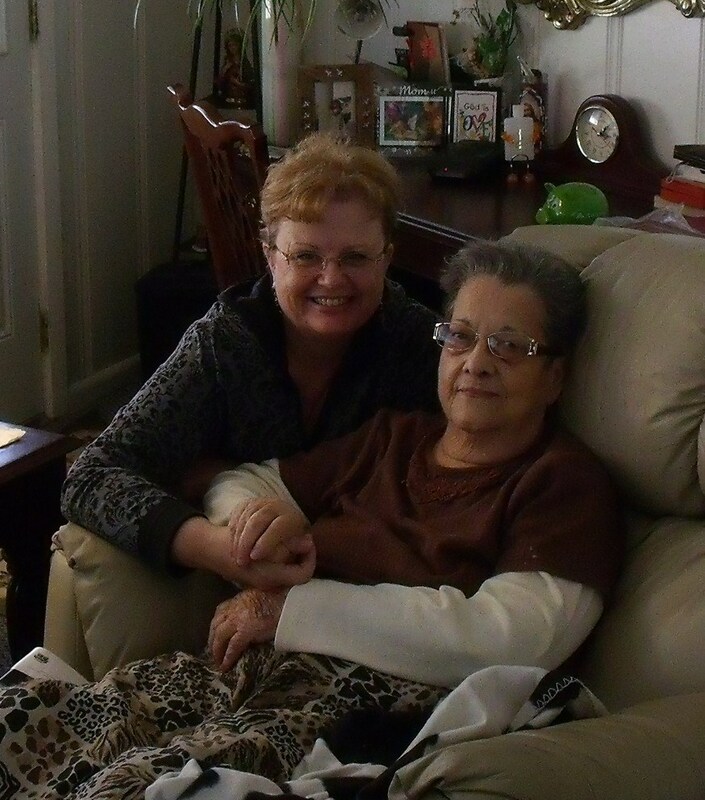 Then, a few weeks ago, her daughter called me and gave me the grim news: Bessie was recently diagnosed with lung cancer, stage 4. It can’t be treated. It’s hard to picture her as being so ill. She is still sharp as a tack and if it weren’t for the disease, she would still be power cleaning and carrying on. I think that is her biggest struggle to date, the fact that she can’t just get up and go like she always has. Anyway, I am so thankful to have Bessie and Jack in my life. God really knew what he was doing when He put our paths to cross! And I’m so happy to have had the opportunity to tell them how ‘pivotal’ they have been to me. I’m afraid I came pretty close to missing that opportunity, now with Bessie having cancer and Jack not quite himself anymore. That, and my tendency to tuck tail and run rather than face reality. She is 84 and he is 89 years old. They have 4 grown children and who knows how many grandchildren and great-grandchildren! There’s a big ol’ pile of ’em! I made her a rosary because I wanted to give her something that would bring to mind the faith we share. It has white pearl beads, each hand wire wrapped with silver plated wire. Coincidentally, I told my husband, Bessie gave me my first rosary. It was white mother of pearl and I still have it 40 years later. My husband said “Bessie gave you your first rosary. You may be giving her her last.” I cried. I live in a different town then they do, but I’ve been to see Bessie and Jack several times in the last few weeks and I will keep going to visit them until I can’t anymore. Once in a while she calls me and I am honored. Sometimes when I go to their house, Jack doesn’t quite know who I am when he answers the door. But he always lets me in. Isn’t that wonderful? Thank you, Dear Lord, for life, love, and second chances. Help me to never take the people or the love You put into my life for granted. Thank you for showing me that You do have a great plan and that it is always what is best for me. Finally, thank you for Bessie and Jack. I didn’t know then how much they would impact my life, but I do now. You have my eternal gratitude. + In the name of the Father, the Son, and the Holy Spirit, Amen. « Are you ready for Black Friday?? Nancy, this is so beautiful blog and pictures–just as beautiful as your smile, heart and soul. I can’t thank you enough for all you’ve done but this blog went straight to my heart and I will share it with mom and dad. You are so loved and we’re so lucky to have you in our family. It’s hard to type with tears in your eyes–thanks so much.